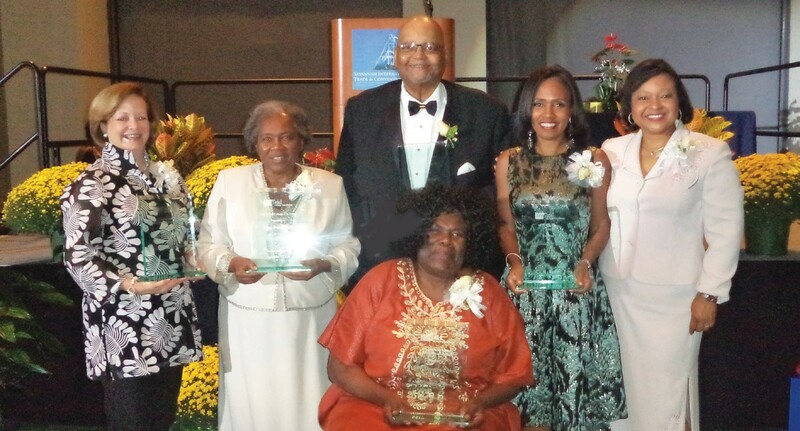 The King-Tisdell Cottage Foundation presented the honorees for the 2018 Annual KTCF Awards Gala. The Gala was held last Saturday evening at the Savannah International Trade and Convention Center. The honorees are: Leopold Adler, II Historic Preservation Award – Mrs. Lisa L. White, Savannah Historic Preservation Advocate and Activist; King-Tisdell Cottage Arts Award – Mrs. Rose O. Smith, Savannah Music Educator and Choir(s) Director; Beach Institute Education Award – Chef Joe Randall, Founder, Chef Joe Randall’s Cooking School/ African American Chefs’ Hall of Fame; Reverend James M. Simms Public Service Award, Mrs. Dorothy Cohen, Founder, Savannah Kwanzaa Celebration/ Community Activist; W.W. Law Legacy Award – Ms. Suzanne Shank, Chairman and CEO, Siebert Cisneros Shank & Co. LLC. Huxsie Scott delivered an outstanding tribute to the “Queen of Soul” Aretha Franklin. Each year the Foundation is privileged to honor persons whose lives have enhanced the quality of life in the City of Savannah/ Chatham County as a key feature of our premiere fund-raiser to support our operations and services. Although we are most known for our renowned Ulysses Davis Folk Art Collection of over 230 wood sculptures, we also are proud of the many opportunities we provide for people to engage in discourse while enjoying our exhibits and programs.